For over 14 years, Everwood Industries, Inc. has been a full service manufacturer and reseller of awards and recognition products. Our services include laser cutting and engraving, acrylic fabrication, sublimation, and full color digital printing. Our website specializes in cast plaques and donor recognition . . .specifically donor trees of all types. We believe you will find our website to be the most comprehensive and informative resource on donor recognition trees anywhere. We offer a wide selection of unique donor trees and tree accessories to meet most customer's needs and budgets. 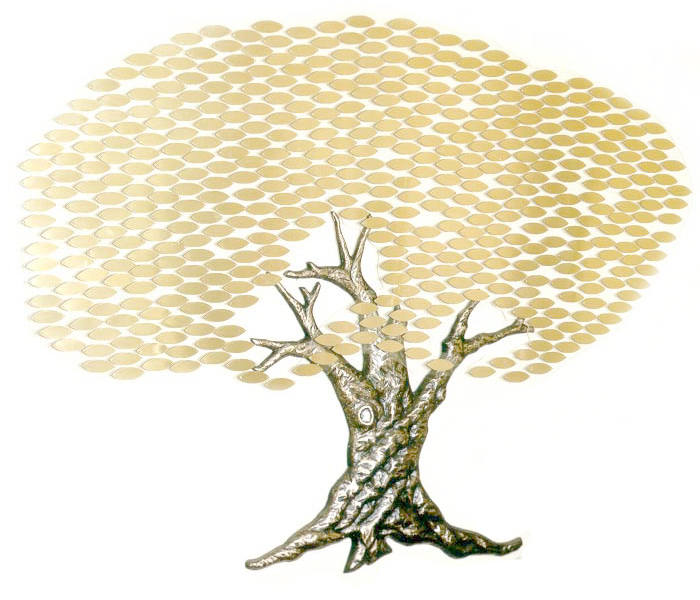 Donor Trees are the most memorable and lasting way to recognize donor giving for fund raising campaigns. Our wall trees encourage donations and raise funds by acknowledging donors with a beautiful donor recognition tree display. We encourage you to visit our other resourceful web pages such as our articles page and our sample marketing brochure page. Use these pages as a guide to get started with your capital campaign or fund raising project. 1-888-462-5008 for easy ordering or questions. Student or Employee of the Month, Walls of Fame, Memorials and More!